Do you need a convincing list of reasons to homeschool gifted children to assure you that it’s really okay to keep advanced and/or talented kids at home? 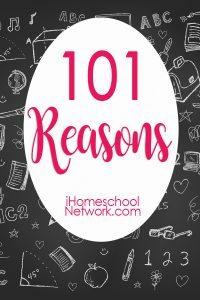 These 101 reasons are really just the start. I could have added one or two hundred more to the list! In my years of experience homeschooling and teaching in the public school system, I’ve seen that gifted and advanced learners consistently excel when given the time and freedom to learn in creative homeschool environments. That doesn’t mean they don’t excel in typical classrooms. It just means that different children have different needs and we can definitely consider homeschooling a viable and completely acceptable option. I can attest to this twice now! Let’s get right to it! 1. Homeschooling gives gifted children the chance to explore their passions and go as deep as they want. 2. It allows children to interact with people of all ages rather than a single age-based peer group. 3. Children can move through subjects at their own pace. 4. You can begin educating gifted kids earlier than normal if they’re ready. 5. You can pick and choose the perfect curricula for gifted learners. 6. Gifted children are less likely to be bored at home than at school. 7. Children with gifted abilities typically need specialized instruction which you can easily provide. 8. You can make time during your school day for mentors who can guide your children in areas of interest. 9. You can adapt curriculum and learning materials to individual learning styles. 10. Children with gifted abilities often have emotional intensity which can be disruptive in a traditional classroom setting. 11. Many gifted children have sensory processing issues as well, and group classes can be overwhelming. 12. Gifted children in public school often have trouble fitting in with their age peer group. 13. Because gifted children may appear different in their emotional responses they may be singled out by bullies. 14. Homeschooling allows you to help your children build confidence in their abilities. 15. When you realize a resource is not working for your advanced learners, you can just move on. 16. You have the option of skipping grades. 17. Teenagers can start college early. 18. Teenagers will feel at ease taking dual credit college courses while in high school. 19. 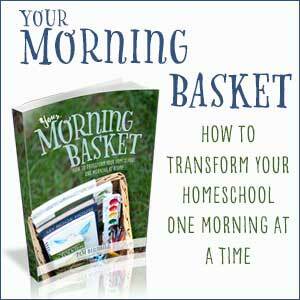 With homeschooling, you’ll be able to meet the needs of voracious readers. 20. Homeschooling allows you to integrate subjects into complete unit studies of a single topic. 21. Homeschooling allows you to use logic games as part of your curriculum. 22. Homeschooling allows time for marvelous conversations with your very curious children. 23. You’ll be delighted again and again to see the amount of knowledge your children can gain while homeschooling. 24. Instead of just reading about great physicists or playwrites or artists, gifted and talented children have time to develop their own expertise, too. 26. Advanced students are more likely to do big things when they aren’t held back from celebrating their brilliance. 27. Children who are gifted in writing will have plenty of time to write stories, plays, novels and even movies. 28. Parents instinctively know their children better than a stranger who may only have your student for one year. 29. Due to asynchrony, gifted children may be advanced in some areas of learning and delayed in others. Homeschooling allows them freedom to learn at appropriate levels for each subject. 30. 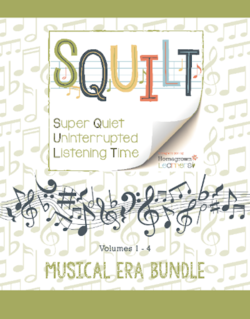 Some children function better in quieter settings where their minds can process and think at a more rapid rate. 31. Public school teachers often give gifted and advanced learners busy work rather than meaningful extensions. 32. Schools aren’t always equipped to give individualized instruction. 33. In homeschooling, parents can allow outside-of-the-box learning. 34. You are free to allow “rabbit trail” learning when your children are intrigued to learn more about something in particular. 35. When homeschooling gifted children at home, you can usually skip through sections of curriculum which are reviews of previously learned material. 36. Homeschooling allows you to use textbooks as a starting point, but then jump off into larger unit studies or deeper research projects at the will or interest levels of the children. 37. When given freedom, truly gifted children will learn what they need to know. 38. 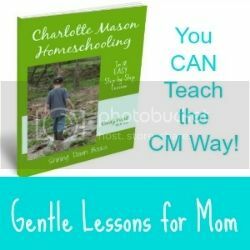 Homeschooling can be completed in a relatively short amount of time (especially when homeschooling advanced learners), leaving the rest of the day open for children to explore their own passions, engage in activities, or spend the day reading. 39. Homeschooling can lay foundations that will help smart kids achieve their goals. 40. Recognizing emotional needs is as important as recognizing educational needs. Parents are the best-equipped to see what’s happening on an emotional level. 41. At home, parents can train gifted children how to be social among any peer group regardless of age. 42. Parents can foster friendships with like-minded individuals by enrolling their children in clubs, group activities, and interest-led co-ops. 43. Gifted children may struggle in one or more areas of learning. You can offer differentiated ways of showing work. For example a mathematically gifted child may struggle with creative writing, but you can allow them to orally tell stories instead of physically writing their work. 44. 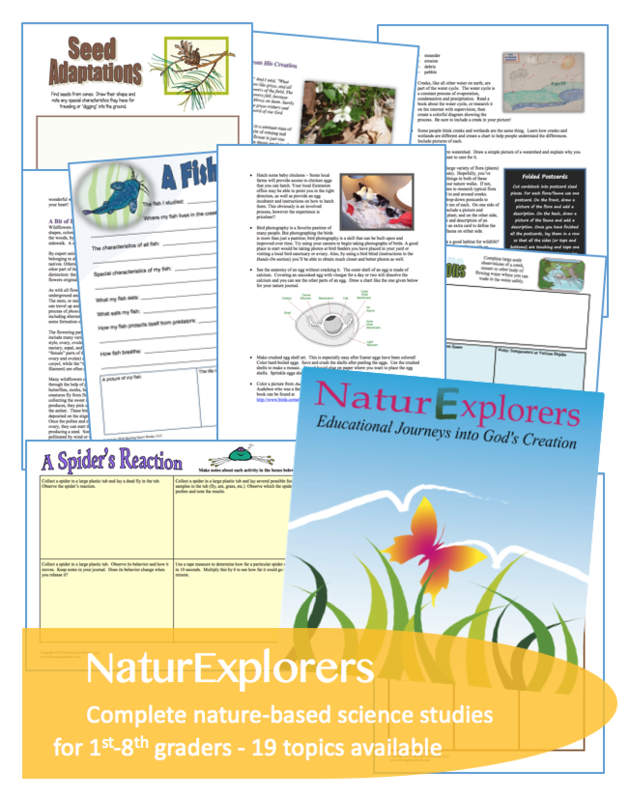 Hands-on experiments are easy for gifted scientists to do when homeschooling. 45. Gifted students who are inclined to do STEM challenges will love the time to explore and test theories. 46. In many places, you can find homeschooling co-ops, clubs, and competition teams that will challenge children gifted in STEM related areas. 47. Many gifted students are introverts and being in a classroom can be downright overwhelming. 48. Conversely, the classroom environment can be challenging for extroverted gifted students who would rather socialize than get to work. 49. You can decide how often you’d like to test your child, based on their feelings towards testing in general. 50. 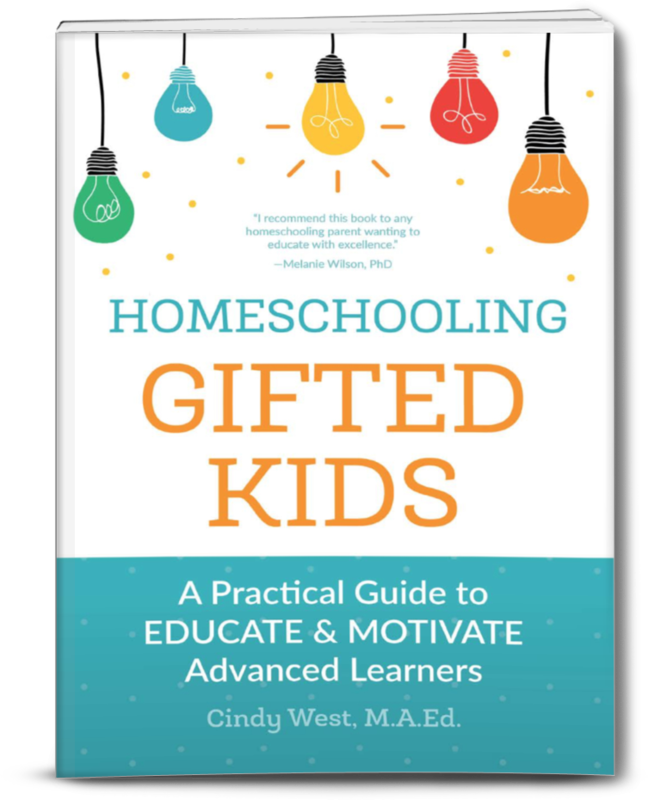 Homeschool parents can be facilitators rather than teachers since gifted kids are often highly motivated to learn. 51. Your children have the option to prepare for and take the ACT or SAT as early as they like. 52. The homeschool setting is a friendly place for gifted kids who struggle with perfectionism. 53. Advanced learners who have the ability to master tasks quickly are able to move on rather than waiting for others to finish or waiting for a class period to end. 54. Classroom procedures can often be frustrating for gifted students. 55. Regular classroom work is often tedious and dry for advanced learners. 56. Parents can more easily guide the development of social skills when homeschooling. 57. Parents are more likely to notice when children are struggling with self-control or other issues and help them learn to handle them appropriately. 58. Homeschooling allows you to teach children important life-skills to help them become productive adults. 59. Homeschooling allows any experience or environment to become a learning opportunity. 60. Project-based learning is an excellent way to let gifted learners engross themselves in a topic and homeschooling offers time to fully research projects. 61. Gifted and advanced learners often have twice-exceptionalities (2e) such as giftedness and dyslexia (or ADHD, sensory processing disorder, dysgraphia, etc.) Homeschooling allows parents to meet any therapy needs without worrying about school absences. 62. Homeschooling parents have time to invest in brain training activities that can immensely improve some of the learning disabilities or even emotional issues that some gifted kids have. 63. Many schools lack funds to meet the needs of gifted students. 64. Public school teachers might not have the training to adequately identify giftedness, know what to do with gifted children, or work with their asynchronies. 65. The methods used to identify gifted students in public schools might not be a true gauge of your children’s unique abilities. 66. Children with multiple intelligences often aren’t challenged enough across all subjects in a traditional classroom setting. 67. Expectations for physical education in public and private schools may be too difficult for children who lack physical dexterity, which is common among the gifted and talented population. 68. Gifted children often have insatiable needs to learn more and more. Homeschooling allows them to satisfy those cravings. 69. Homeschooling can allow experimentation to become part of the daily routine. 70. Private schools with great gifted programs might be too expensive for some families. 71. Many gifted kids appreciate gifts that can double as school lessons. 72. Homeschooling affords families time to visit experts who can help children dig deeper into areas of learning. 73. 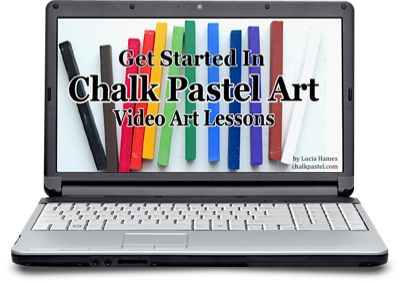 Artistic pursuits can be celebrated in homeschooling. 74. Moving children forward one or more grade levels in public or private school causes them up to stand out in a group of older kids and leave them feeling isolated or victims of bullying. 75. When homeschooling, there’s plenty of time for field trips that offer amazing opportunities for gifted kids. 76. Gifted children may be unaware of how others perceive their intellect and set themselves up to be ridiculed. 77. Creatively gifted kids need to be able to explore their creativity. 78. Gifted kids can often be fidgety needing to move physically to process what is happening mentally. Classroom settings make this difficult and might look odd to others. 79. Homeschooled children tend to feel comfortable around people of all ages. This lends itself well to building relationships that often turn into mentorships as children gravitate toward people with similar passions as theirs. 80. Gifted children who are homeschooled won’t be scolded for writing in cursive when the other students are writing in print. 81. Doodling thoughts in a notebook is considered a valid educational technique in homeschooling. 82. It’s easier for homeschooled gifted students to take several college courses while in high school. Some have even been known to graduate with a bachelor’s degree by the age of 18. 83. 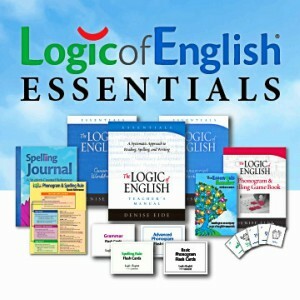 Logic workbooks (great for gifted students) are easy to find. 84. Homeschooling parents celebrate children who calculate answers in their head rather than showing their work in math. 85. 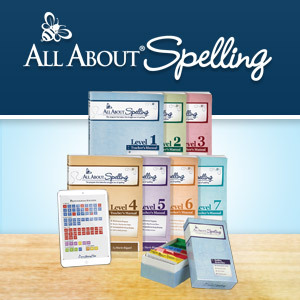 Gifted students often enjoy playing educational games and homeschooling affords time to do so. 86. For parents who are intimidated about teaching certain subjects, there are plenty of resources available to ease the burden. See my high school dissection post as an example. 87. Gifted kids who excel in competition will have more time to compete in everything from spelling bees to chess tournaments. 88. Homeschooled children have more time to practice the fine arts – piano, pottery, dancing, etc. 89. Gifted teenagers often stand out on college applications. Homeschoolers often stand out on college applications. Think about the potential for gifted homeschoolers to stand out. 90. All children deserve the opportunity to learn in their own unique way. 91. Kids gifted in entrepreneurship have time to start money-making business ventures early. 92. Since gifted kids often ace tests, you don’t have to teach to the test like in public school. 93. Homeschooling means you can join a myriad of special programs and classes and have the time needed to excel in all the project goals. 96. When accelerating the curriculum to meet the needs of particular children, you aren’t limited to buying only homeschool curriculum. You can buy college level curriculum as well. 98. Some gifted children excel in mechanics! Let them learn automotive repair and you’ll save hundreds, or even thousands, on maintenance. 99. Mathematical or logically-minded kids can learn how to prepare tax returns and do your family taxes. 100. Many advanced learners are great at debate, logic, and reasoning. When given the chance to develop those skills, it can prepare them for a future in law or politics. 101. Recognizing and fostering gifts and talents can set children up for a lifetime of success in a field they love. 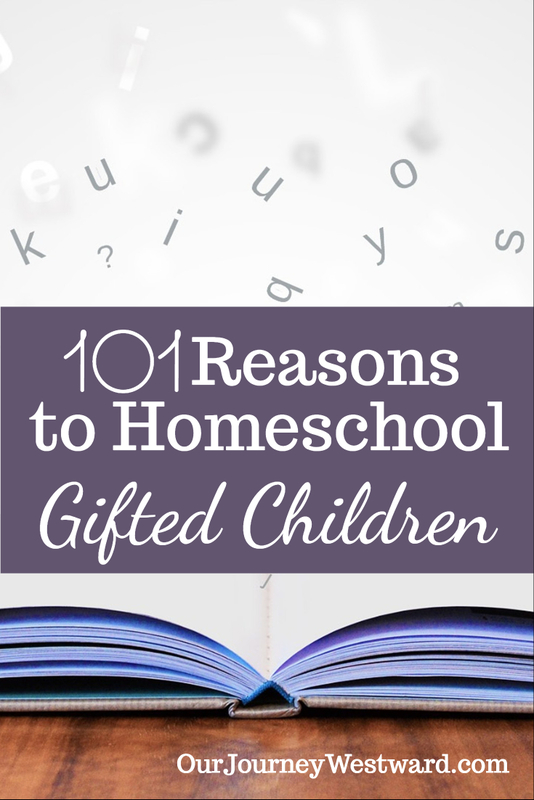 Add your best reasons to homeschool gifted kids in the comments! Homeschooling Gifted Kids can help you teach and motivate your smart children so that you can homeschool with joy and success!